In rugby, there are the Flash Harrys and the Glory Boys: the fly-halves who run, kick and dazzle; the scrum-halves who nip and dart; the wingers who step and glide. These are the players who get the crowd on their feet, who set stadiums abuzz. But they only get to do these things because other, less glorified figures do all of the donkey work. Adam Jones is one such figure. And for a decade he was one of the world’s best. 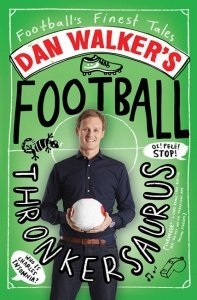 On many occasions when George North or Shane Williams were careering under the posts to score a try, and the crowd was engulfed in rapturous joy, Adam Jones would be hauling himself up from the turf, spitting blood and mud, and massaging his aching neck. He hadn’t scored the try; but more often than not it was his graft and strength which had made it. This is the story of ‘Bomb’: the self-effacing manual labourer from the Swansea Valley who traded laying paving slabs for running out in some of the world’s most imposing sporting citadels. He rose to the pinnacle of his sport, winning virtually everything there was to be won: Grand Slams, Six Nations Championships, Lions tours, Pro12 titles. 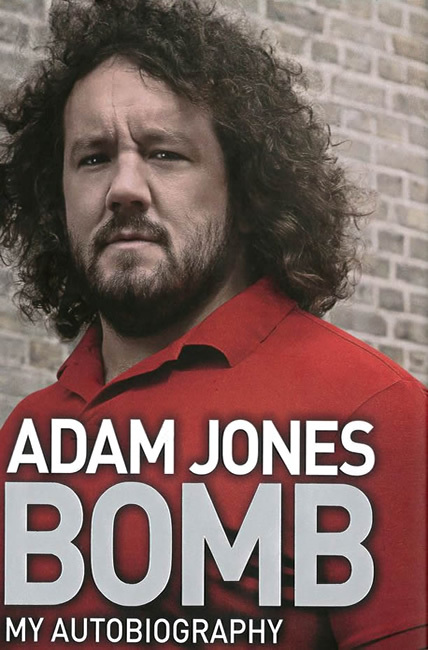 In a nation of rugby heroes, Adam Jones has become a legend. Only six Welshmen can say they’ve won three Grand Slams. He is one of them: not just as a bit-part player, but as the beating heart of the most successful squad in Welsh rugby history. His was one of the first names on the team sheet. He was – literally and metaphorically – the cornerstone of this Welsh side. In his autobiography, Jones reveals exactly what goes on in the murky depths of the front row: the tricks, the techniques, the physical and psychological warfare; and the mental fortitude it takes to endure in one of the hardest positions, in one of the world’s toughest contact sports. from a true legend of Welsh rugby and a genuine cult figure. 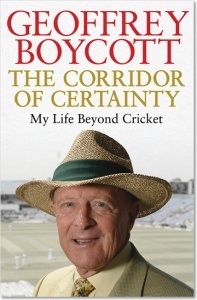 This brilliantly entertaining account of his career… fun-filled and fast-moving… this gem of a book. The book hast two sections of colour photographs recording various stages in the life and career of Adam Jones. The main body of the book has 359 pages while the back matter has a further 14: an 11-page index and a 3-page photo credits section.